Mr William Kpormegbe, the District superintendent of Police in charge of Motor Traffic and Transport Unit (MTTU) in the Bolgatanga Municipality has called on the Public to go through the right procedure in acquiring documents for motorbikes and vehicles they use. He said the police would not compromise on interventions and pressure from highly placed members of the public who try to intervene on behalf of those who flout the law and use vehicles without number plates and other required documents. 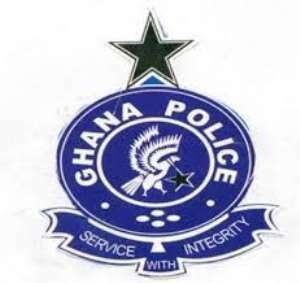 Mr Kpormegbe made the call in an interview with the Ghana News Agency in Bolgatanga, in the Upper East Region, in response to the conduct of some police personnel and their vulnerability to accepting gifts instead of following through with cases of flouting road traffic regulations. He said integrity and professionalism was crucial to the service and therefore urged the Police and the public to do the right thing. He said the regular operations organized by the unit in the Municipality to check vehicles was to ensure that road traffic regulations were followed as well as ensure that the required documents of vehicles and bikes were used. He also advised the Police to put their shoulders to the wheel to bring sanity into the service and urged junior officers in the service to be upright in their duties. Speaking on upgrading the skills of the police, the MTTU Boss indicated that the Police Service provided every opportunity enhance their skills in areas of general policing, saying that, experience and skills in policing were no areas to toy with. 'Anyone who has learnt to practice will always be the best', he noted, and assured the general public to have confidence in the police to instill law and order in the region. Mr Kpormegbe said the junior officers could excel in any field if given the desired training to build their skills in investigations, surveillance, interrogation, giving evidence in court and general policing.